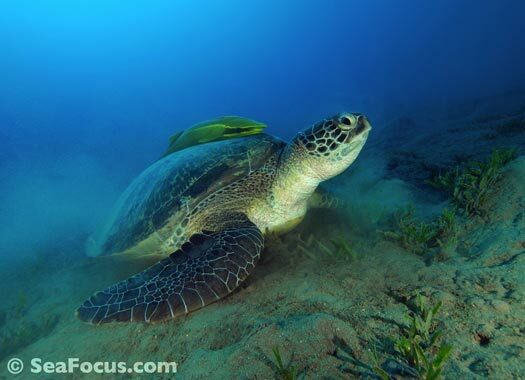 The word turtle is a generic name for the group of reptiles that also includes tortoises and terrapins. 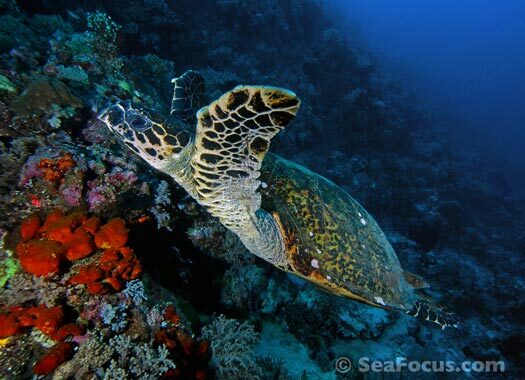 There are about 300 species but just seven marine turtles. 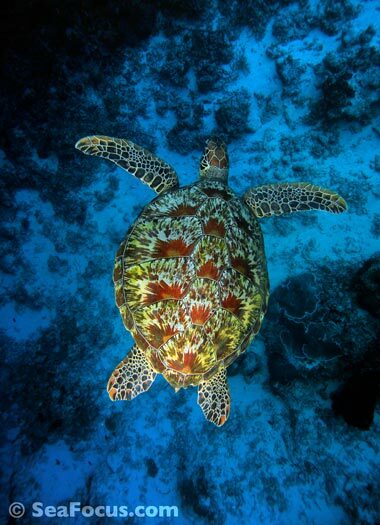 Of these seven the ones that scuba divers encounter most are green and hawksbill turtles. 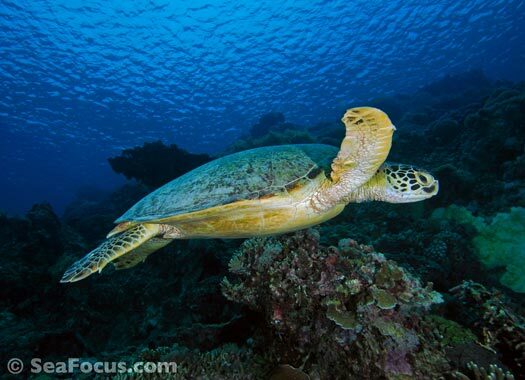 All turtles are fairly similar to look at, having a body that is shielded by a special bony shell and beak-like jaws instead of teeth. It's these two physical attributes that you need to study to tell which is which. 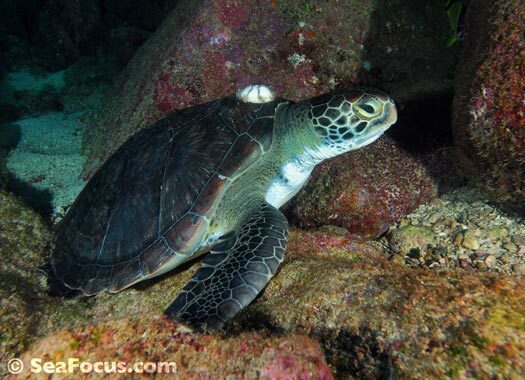 When comparing green turtles to hawksbill, greens have an oval carapace that is black-brown or green-yellow with a feathered scale pattern while the hawksbill shell has a more mottled pattern in richer colours. 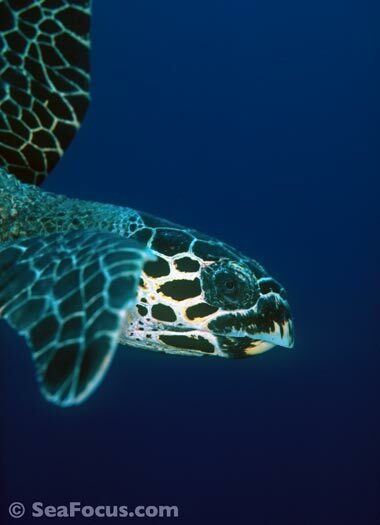 The hawksbill also has – you guessed it – a bill that is shaped like the beak of a hawk while green turtles have a smaller, blunt shaped head. 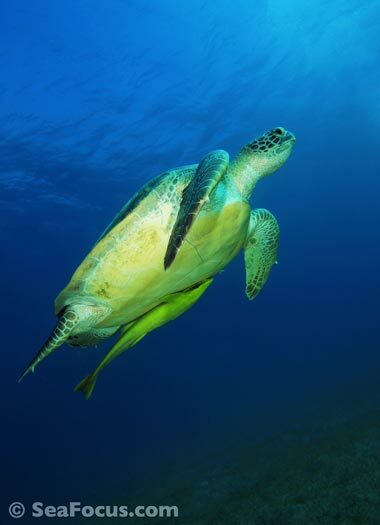 All turtles are air-breathing. 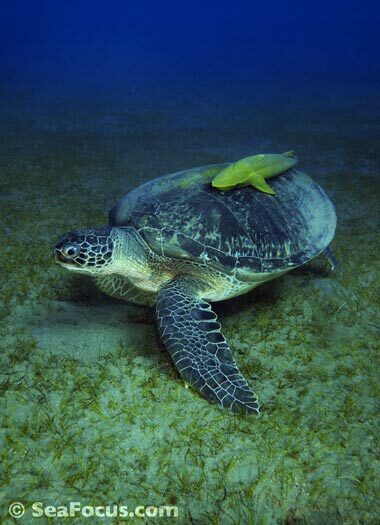 They surface regularly to refill their lungs so if you see one swim to the surface it's worth waiting for a while as it will descend again after taking a gulp. 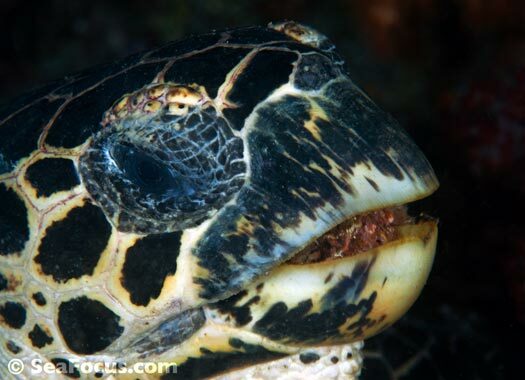 Turtles drink sea water and cry salty tears to get rid of excess salt. 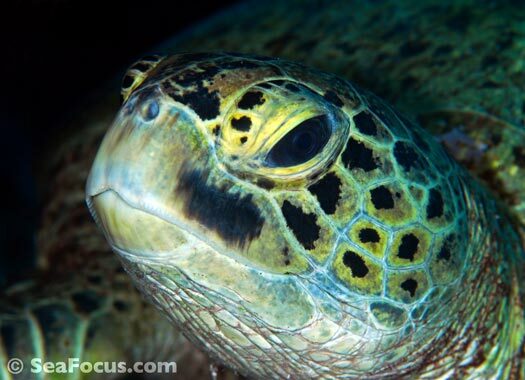 All species of sea turtles are listed as threatened or endangered with leatherback, Kemp's Ridley, and hawksbill turtles as critically endangered; Olive Ridley and green turtles are endangered and the loggerhead is threatened. 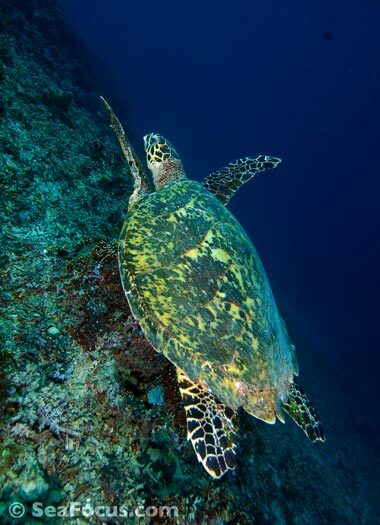 Both green and hawksbill turtles are seen by divers across wide swathes of Southeast Asian waters. 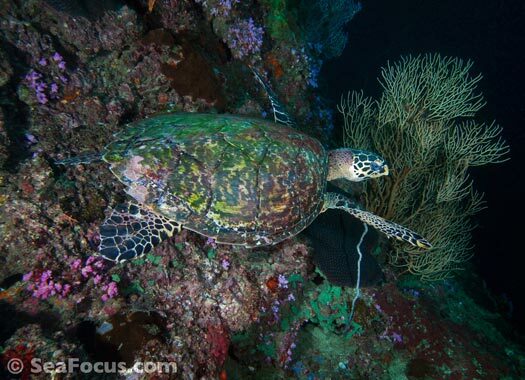 Although these animals are critically endangered, many small conservation projects are working to guarantee the safety of turtle eggs, which has meant an improvement in turtle sightings in some places. 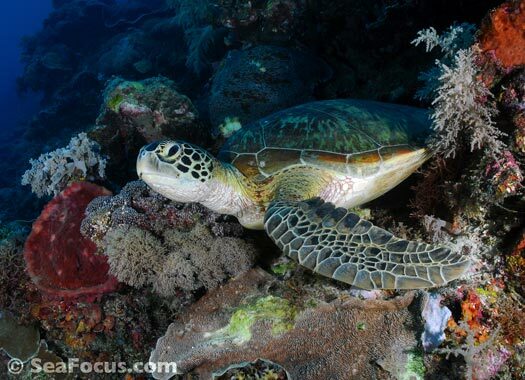 Female turtles lay in the same place every year and only on dry, sandy beaches. 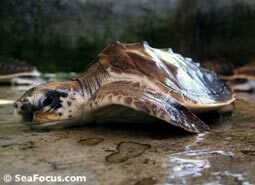 They do not care for or nuture their brood but simply lay and run. 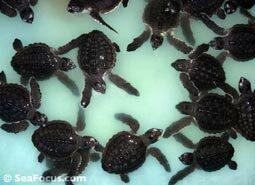 The hatchlings emerge at night after an incubation period of around two months. 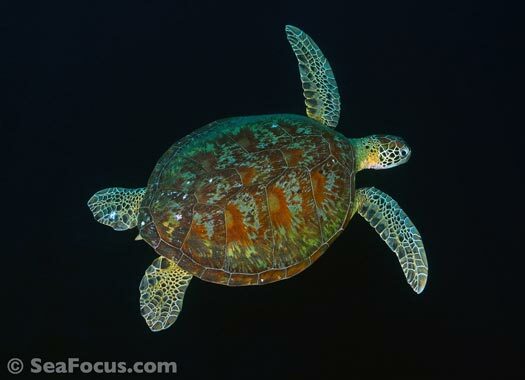 Once in the sea hatchlings ‘disappear’ until they grow to dinner-plate sized juveniles. 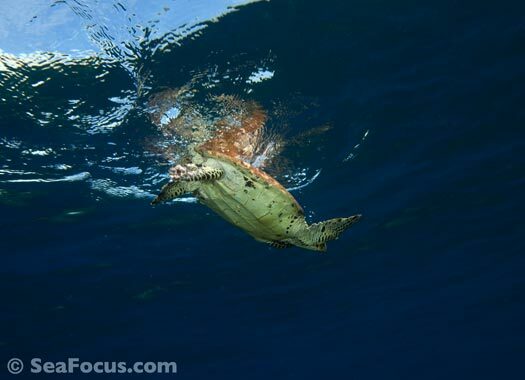 This laying process makes it easy for turtle nests to be "raided," one of the reasons why they are so threatened. 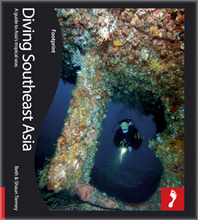 However, conservation projects rescue and transfer eggs to protected areas. 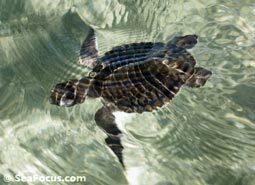 After watching over the hatchlings for the requisite time, ensuring they are kept safe from both animal and human predators, the youngsters can be released into the sea giving them an increased chance of reaching maturity.